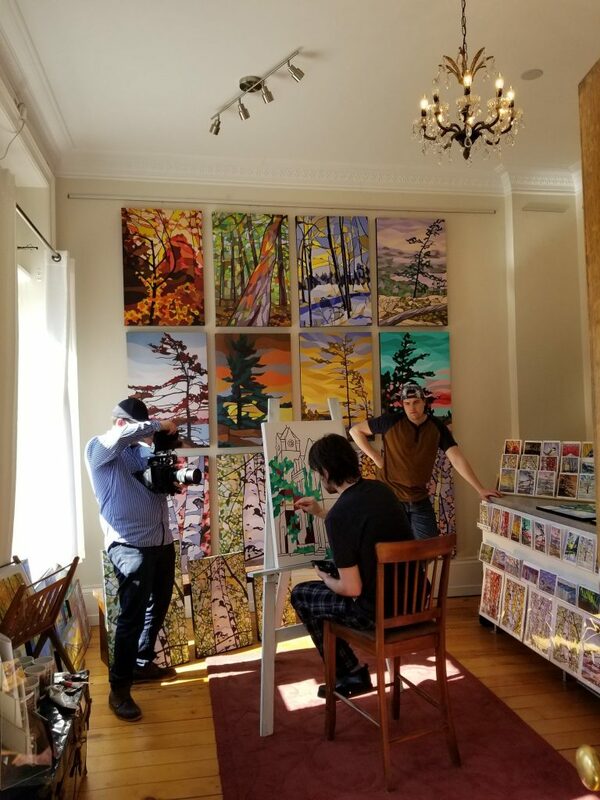 When we first moved into Insight’s new space on Albert St. in Uptown Waterloo, I noticed that we had a lot of empty white walls. 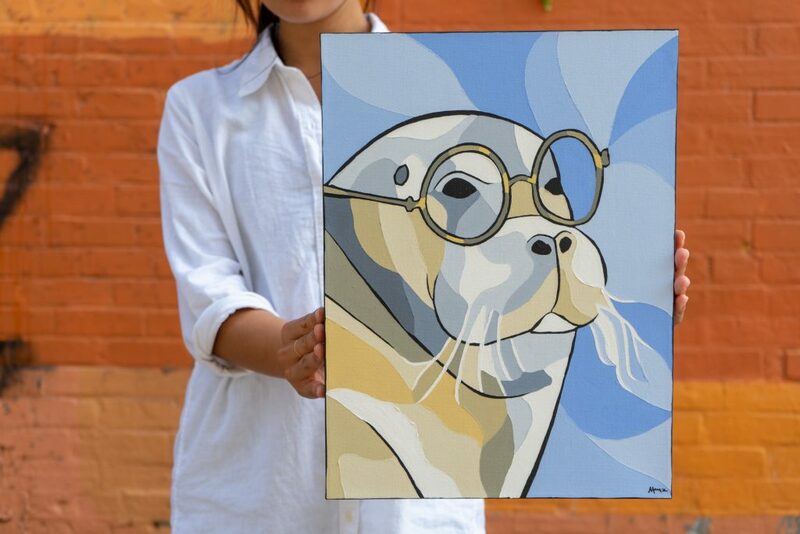 Originally, I was hoping to commission a local artist to paint an animal wearing glasses that we could hang in our waiting area. 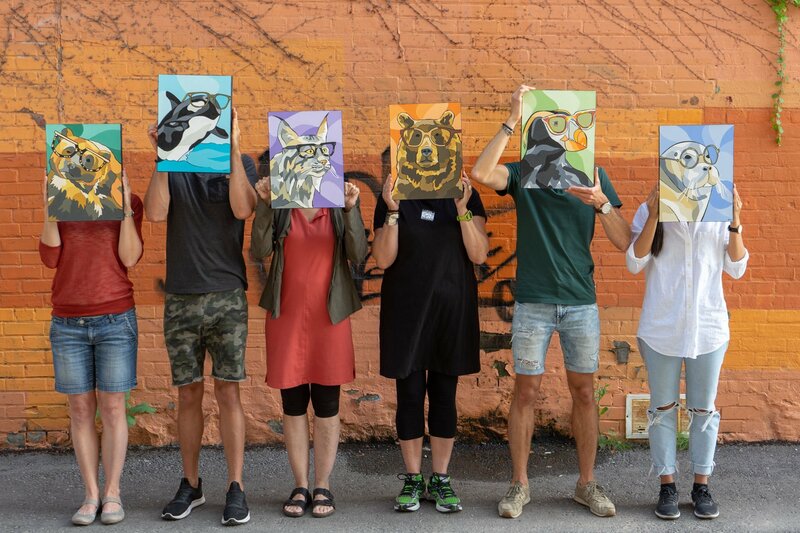 Well, after a lot of brainstorming, we ended up with 6 beautiful and quirky Canadian animals all wearing independent eyewear. 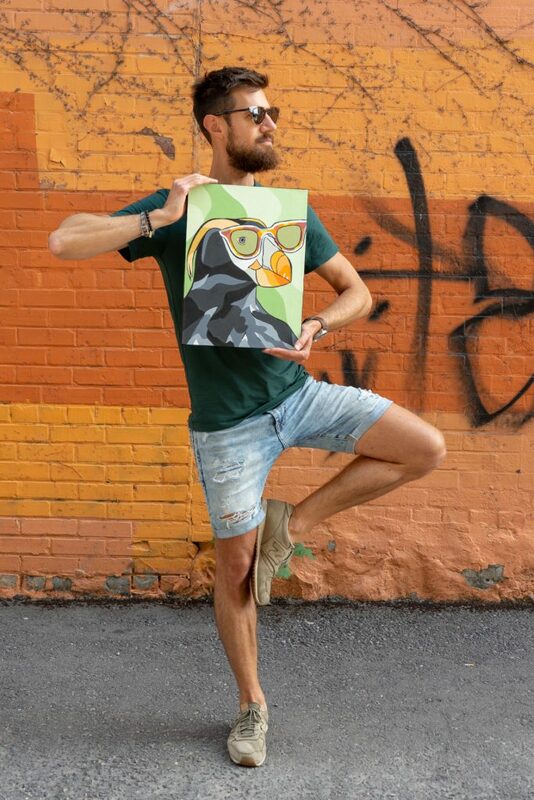 We partnered with one of our favourite local Canadian artists, Paint by Munzy. 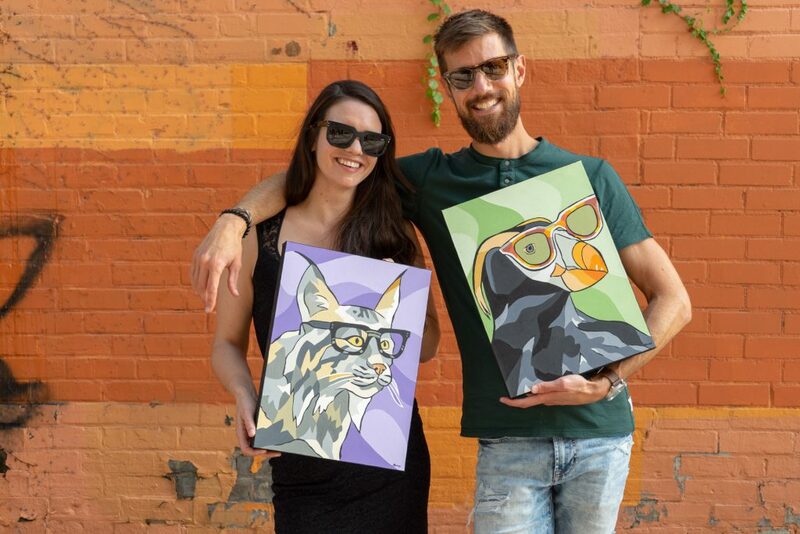 The artist, Jonathan Munz, created our bespectacled animals and his sister, Laura Munz (who manages his studio and marketing), jumped on board to help promote this campaign. 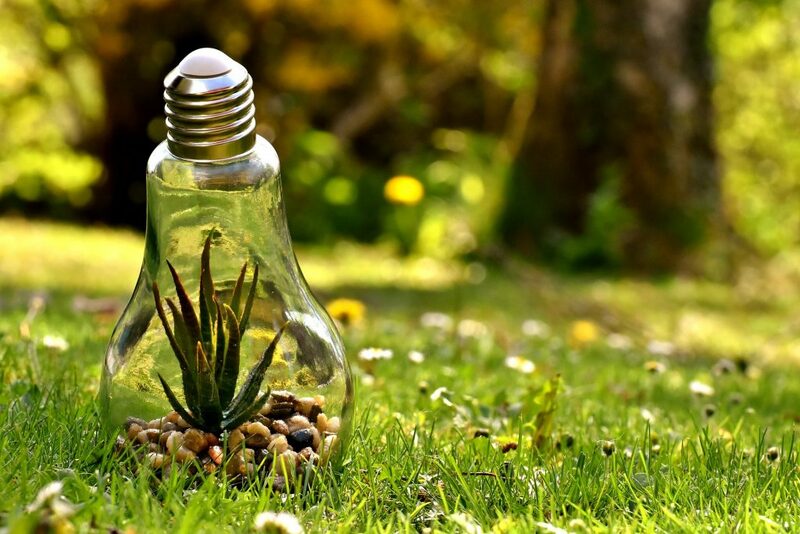 Back in college, Troy Dettwiler (our website designer, photographer and marketing assistant), worked with the Canadian Parks and Wilderness Society (CPAWS) through an environmental club. Troy and I both felt this charity fit perfectly with our vision as well as Paint by Munzy’s subject matter. 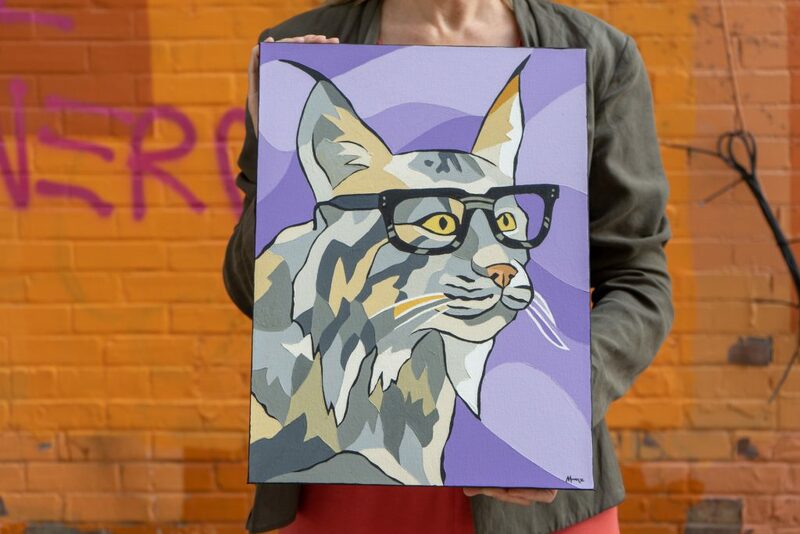 Half the proceeds of the canvas prints and greeting card sets will be going to support CPAWS. The original oil paintings are on display at Insight Eye Care. 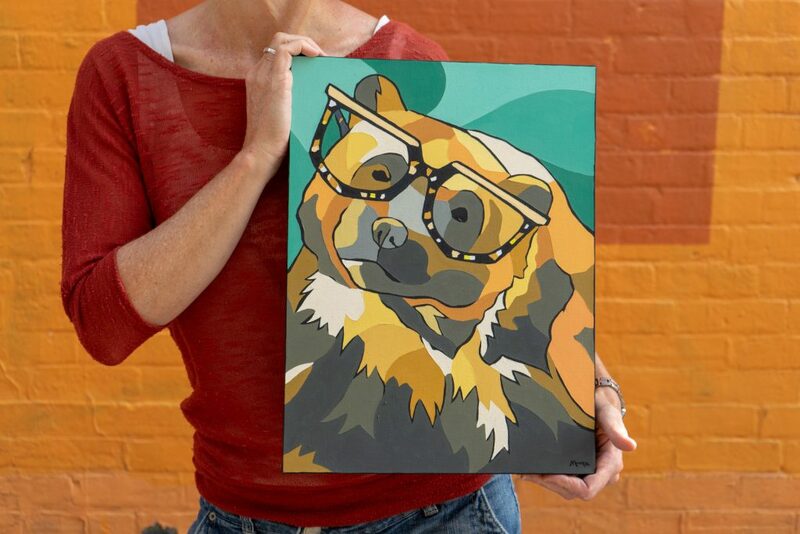 The canvas prints and greeting card sets can be purchased directly from Paint by Munzy’s Online CPAWS Page. 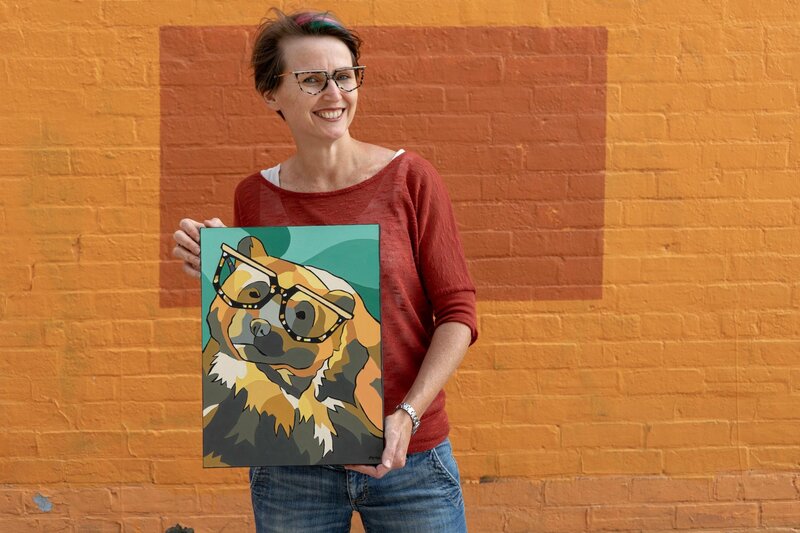 Thank you Paint by Munzy for creating these adorable images and helping us support this meaningful cause! 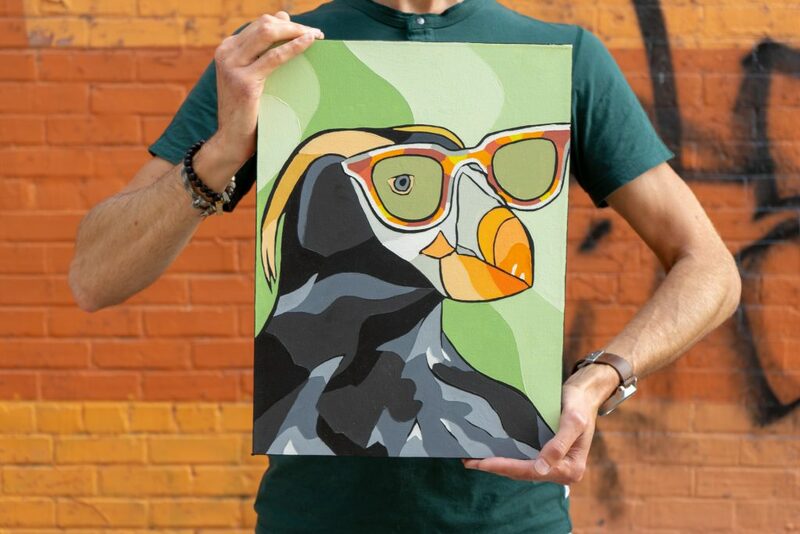 All the profits from this campaign (sale of prints and cards) are going to Paint by Munzy and CPAWS. 50% for CPAWS, 50% for the Artist and 0% for Insight Eye Care. 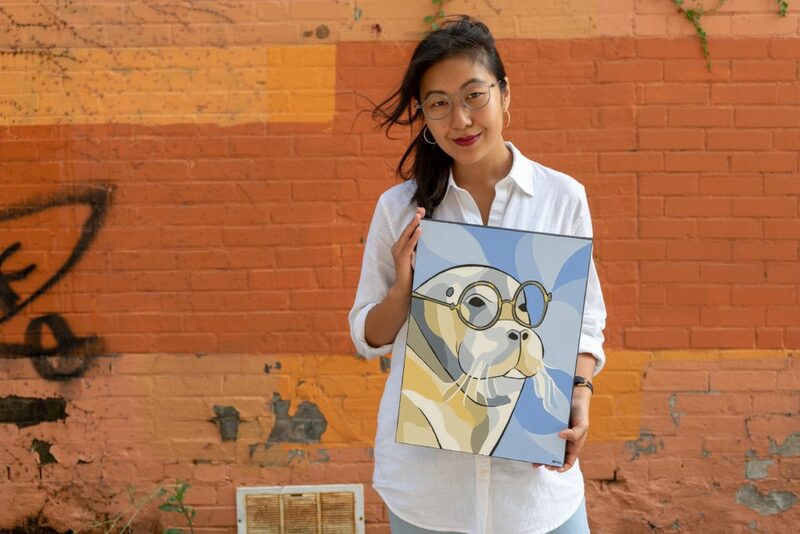 All of the represented eyewear designers, Vinylize, Bruno Chaussignand, Blake Kuwahara, ROLF Spectacles, TAVAT and SALT Optics have made monetary donations. If you love our parks and wildlife and are interested in making a monetary donation to CPAWS you can do so here. We live in a world focused on its economic present, a world that has pushed the health of our planet far into the periphery. We have lost our vision for a sustainable world. With this CPAWS Fundraiser, we are attempting to shift focus toward the wilderness and wildlife that are in desperate need of protection. I reached out to 4 members of our community who hold sustainability close to their hearts. Together with myself and Troy, the six of us are each holding one of the animals and the corresponding independent eyewear. Not all of the animals are classified as endangered by the Committee on the Status of Endangered Wildlife in Canada, but they are at various levels of risk. Marcia Ruby is the Publisher Emerita and Creative Director of Alternatives Journal. Graciously, Alternatives Journal has offered to be the official media sponsor for this fundraiser. Thanks A/J! Marica and the Lynx are both wearing Vinylize. The Canadian Lynx is a solitary cat that lives in our northern forests. These cats have feet like snowshoes, tufts of hair on their ears that give them excellent hearing and they also have remarkable vision. Our Lynx is not endangered, but its population is dependent upon Snowshoe Hare availability and its cousins have been hunted in Europe for their beautiful fur [National Geographic]. Tenille Bonoguore is the Senior Science Writer-Editor at Perimeter Institute for Theoretical Physics. 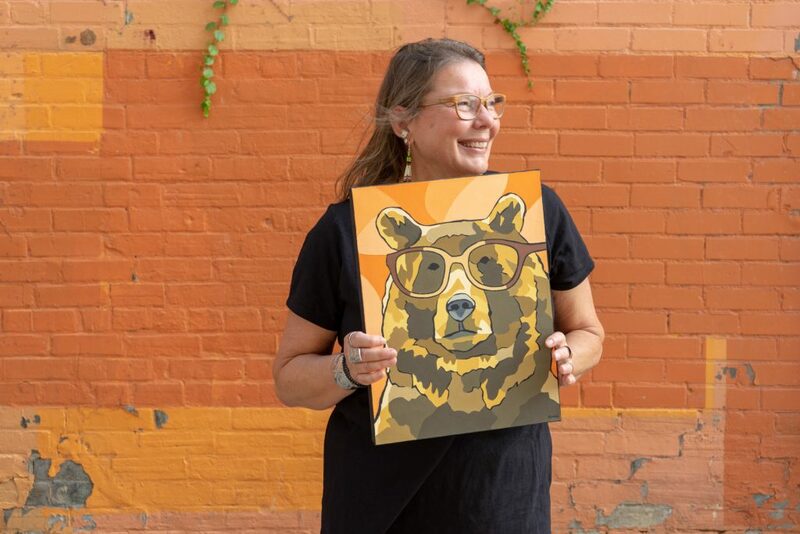 She founded the Waterloo Region Arts-Award winning Grand Porch Party and has sat on a variety of environmental and community boards. 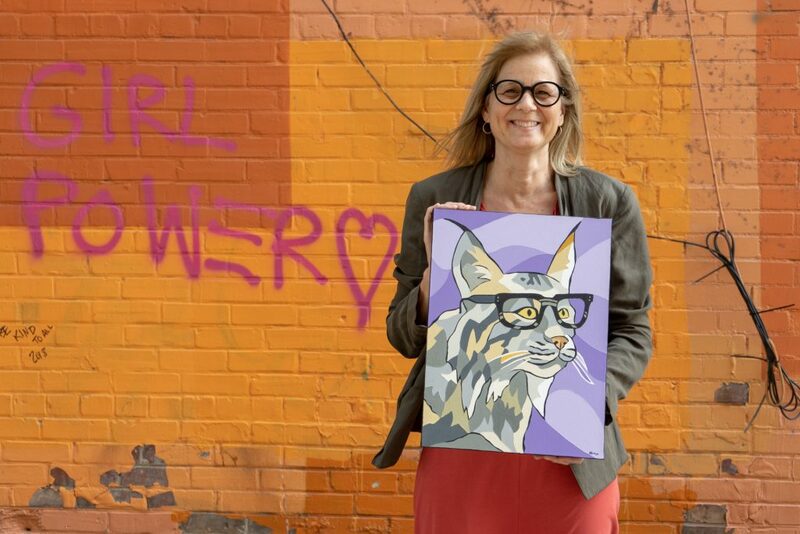 Currently she is running for Ward 7 City Councillor. Tenille and the Wolverine are both wearing Bruno Chaussignand. At first glance, this large, stocky animal may look like a small bear, but it is actually the largest member of the weasel family. These solitary animals are tough and like to roam long distances, following wolves to scavenge the remains of their prey [National Geographic]. The wolverine is a victim of incidental harvest and the Eastern population is endangered [COSEWIC]. Raymonde Friedmann is a sustainable landscape consultant. She is an active environmentalist, supporter of green technology and sustainable architecture and an advocate for the protection of water sources, wetlands and our forests. 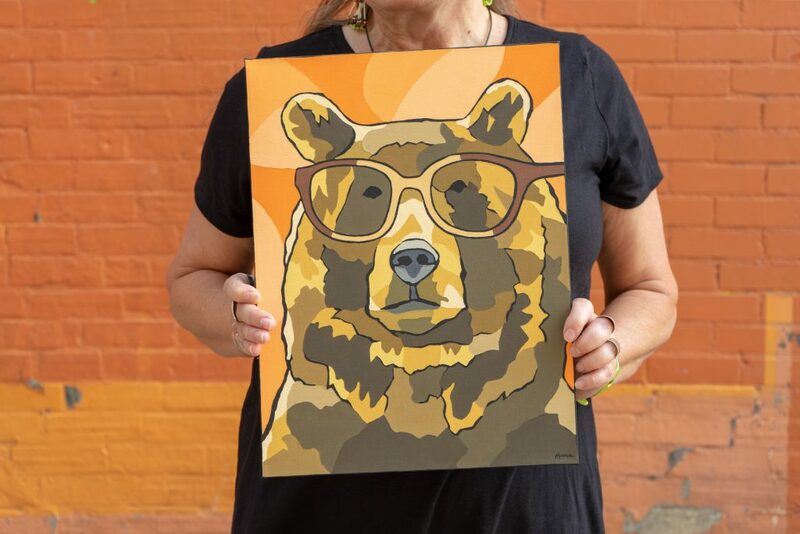 Raymonde and the Grizzly Bear are both wearing ROLF Spectacles. At the top of the food chain, Grizzly bears surprisingly depend on nuts, berries, fruit, leaves and roots – eating rodents and moose on occasion. Although large, Grizzlies are fast and don’t like being surprised [National Geographic]. The Prairie population has been extirpated and the Northwestern population is under special concern due to human development and trophy hunting [COSEWIC]. Jennifer Le is a sales consultant at Insight and also volunteers for Avocado Co-op. Avocado is a retail co-op that makes living more sustainably easier by offering eco-friendly, zero-waste and member-tested household products. Jennifer and the Bearded Seal are both wearing TAVAT. This particular seal uses its whiskers as feelers in the soft bottom sediment of the ocean floor as it snatches up crabs, clams, squid and small fish. The pups are born on small ice floes and slip into the water merely hours after they are born. There is not enough data to classify the conservation status of this animal, but climate change is a risk for all wildlife [COSEWIC]. Troy Dettwiler is a technician for the Waterloo Region District School Board and, on the side, is Insight Eye Care’s website designer, photographer and marketing assistant. He has previously campaigned for CPAWS, enjoys spending time backcountry and living an environmentally conscious lifestyle. 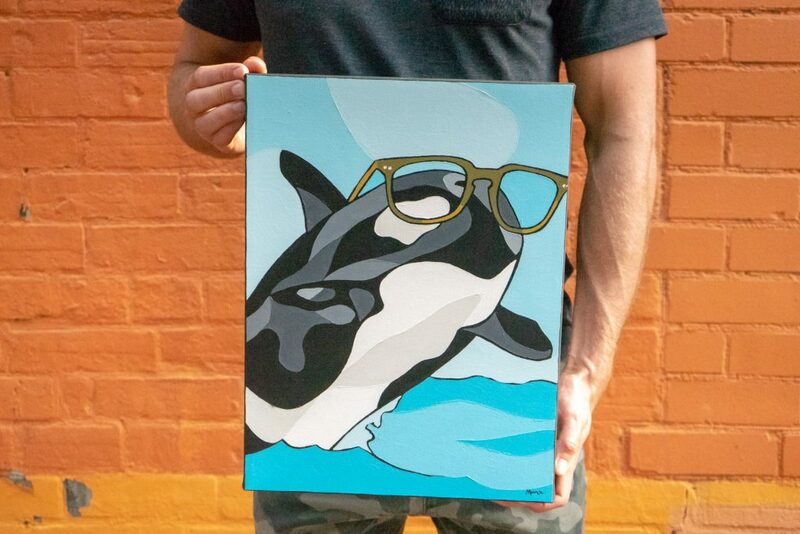 Troy and the Orca are both wearing SALT Optics. Often referred to as wolves of the sea, orcas live and hunt together in cooperative pods, or family groups, much like a pack of wolves. They will also slap their tails onto the water’s surface, causing a wave to wash prey into the water [National Geographic] Southern residents are endangered because they can’t find enough Chinook Salmon to eat and are victims of oil spills and contaminants [COSEWIC]. 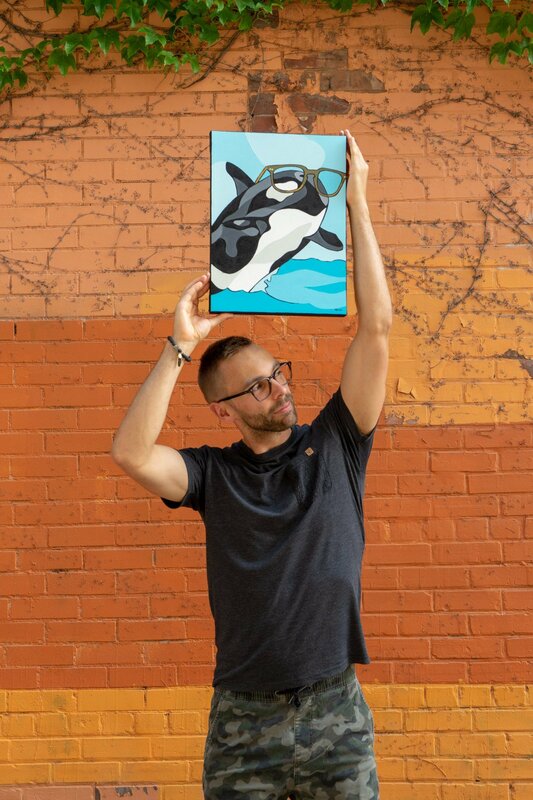 Neil Moser is the Sales and Marketing Manager for Insight Eye Care and writes creatively in his free time. He is passionate about supporting independent companies with respectable values and ethics as well as escaping into the wilderness to enjoy the serenity that only the natural worlds can offer. Neil and the Puffin are both wearing Blake Kuwahara. Also known as “sea parrots,” puffins have beaks that are grey in the winter and colourful in the spring so as to attract mates. They live mostly at sea and only come to land for nesting. Climate change has increased the temperature of the ocean water, forcing the birds’ food sources further away from where they nest, thus decreasing their population over time [National Geographic]. If you are interested in how you can help preserve wildlife in Canada, take a look at the Canadian Parks and Wilderness Society (CPAWS) website.